With more than 187 million daily active users as of Q4 2017, Snapchat is one of the most popular mobile applications in the world. Unfortunately, it recently received a redesign that many have described as “ugly”. Case in point: An online petition urging Snap, Inc. to restore the app’s old design exceeded 1 million signatures. 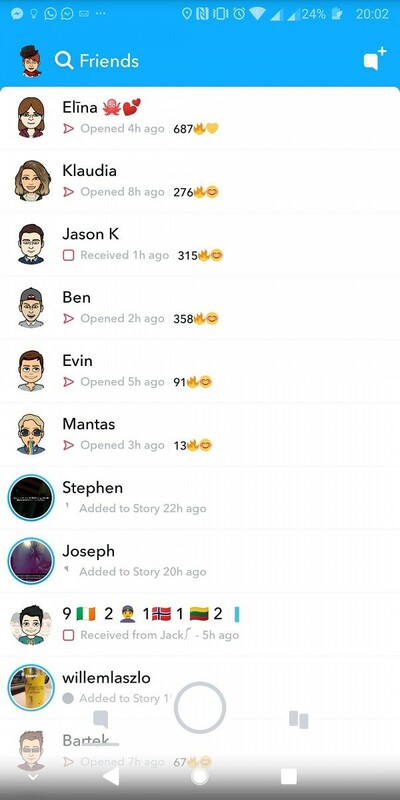 The new Snapchat began to roll out in November, but only a small subset of users in the beta channel got it initially. Now, it’s launching worldwide, and users in the US, UK, and Ireland are among the first to receive it. Once the Snapchat app upgrades to the latest version, there’s no way to revert back to the old design. 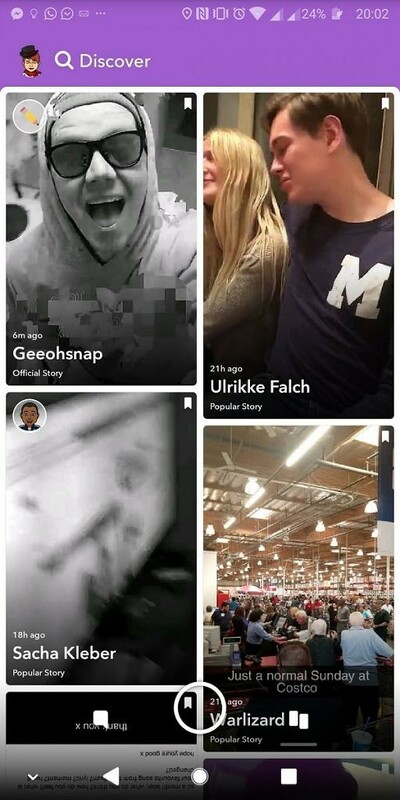 The new UI redesign comes across very cluttered, placing stories in the same area as Snaps. That makes it easy to miss Stories from friends. 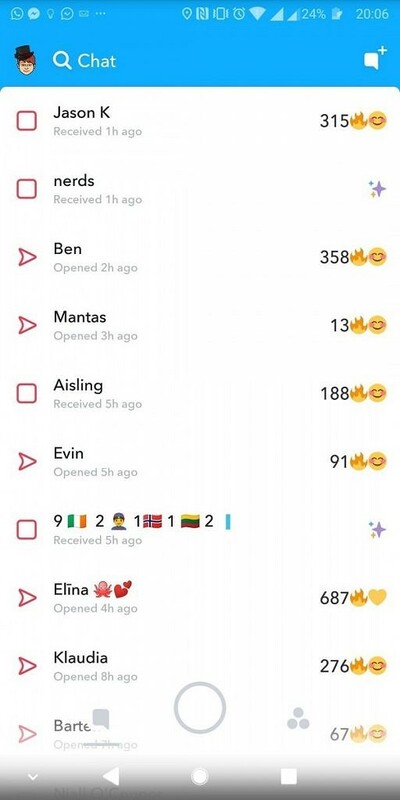 Snapchat says that Stories and Friends are listed in the order they expect you to want to talk to people. Thankfully, there’s an easy way to go back to the way things were to be if you use Snapchat on Android. Follow the tutorial below, and you’ll have the old design back in no time. 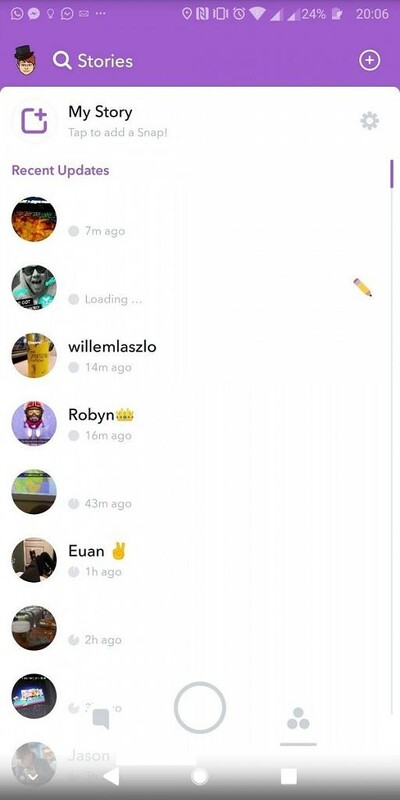 The Snapchat rollout is part of an A/B test, which has resulted in some users seeing the redesign while others haven’t yet. It’s a server-side switch that changes the UI, not a particular version of the app. However, it’s still possible to go back to a much older version of Snapchat with the old design: version 10.22.7.0. 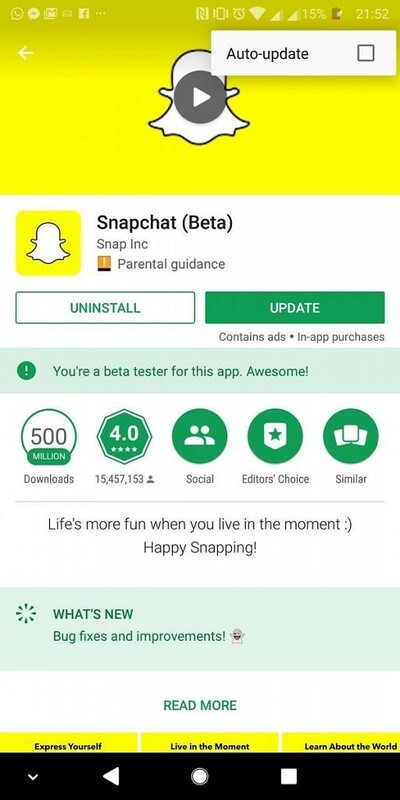 Once you’ve downloaded the old app, you’ll have to uninstall the current version of Snapchat — just head to the Play Store and uninstall it. You might have to enable Unknown sources for this part. It’s not too difficult: tap on the Snapchat APK you just downloaded, and your phone should alert you to enable the relevant setting. Follow the prompt that appears and toggle Unknown Sources. If for whatever reason you don’t get a toast message, look for Unknown sources under Security in the Android Settings menu. That’s it! You’ve downgraded the application. Simply launch Snapchat and log back into your account, you should see the old version of the app before the ugly redesign. As you can see, the old UI is back. 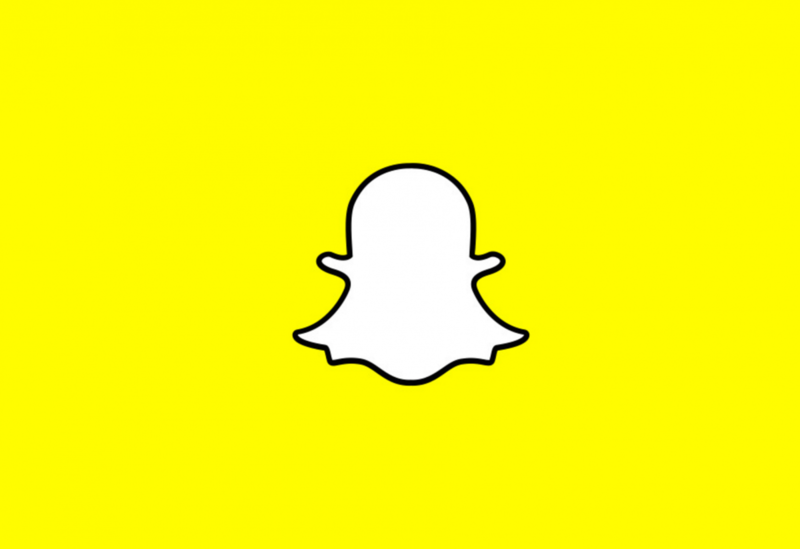 It persists between reboots, logins, and logouts, and unless Snapchat blocks the old version of the Snapchat app, it’ll likely continue to work. Now you just have to disable automatic updates for the application, so that you don’t get updated again. Navigate to Snapchat’s Google Play Store page, tap the top right triple dot menu and uncheck “auto-update”. If you’re on a ROM that doesn’t pass SafetyNet, be aware that you won’t be able to log back into the app if you don’t back up the Snapchat app’s data with Titanium Backup or a similar utility. If you don’t have Xposed or SuperSU installed, though, you’ve got nothing to worry about.